Preparations are in full swing as AIR students at X4M, Turin near their first exam sitting. 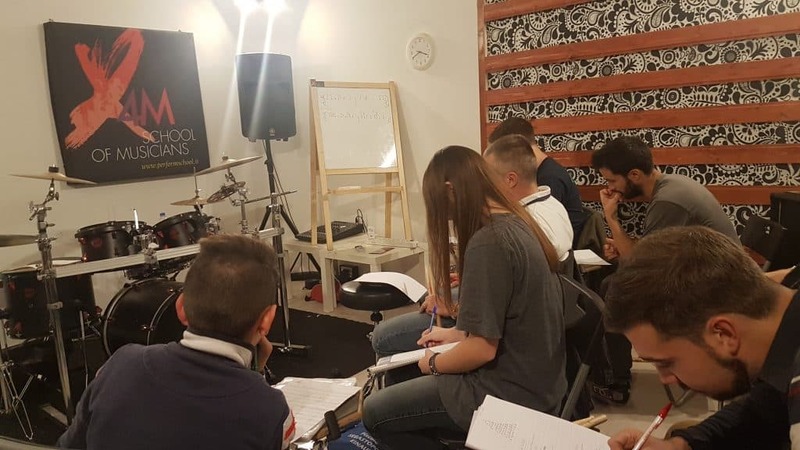 In October 2017, a group of students at Italian music school, X4M – perform school of musicians began working on the Artist in Residence course. The course is designed to work along with and enhance an existing curriculum that is offered at a music school. The course aims to advance people’s musicality and prepares individuals to take both non accredited and accredited qualifications in music. I visited the group of students last week. I was very proud to see how hard they are all working. I expect all of the participants to do very well.